IAS provides accreditation for field evaluation bodies (FEB) based on requirements in the IAS Accreditation Criteria for Field Evaluation of Unlisted Electrical Equipment (AC354), ISO/IEC 17020 and NFPA Standards. 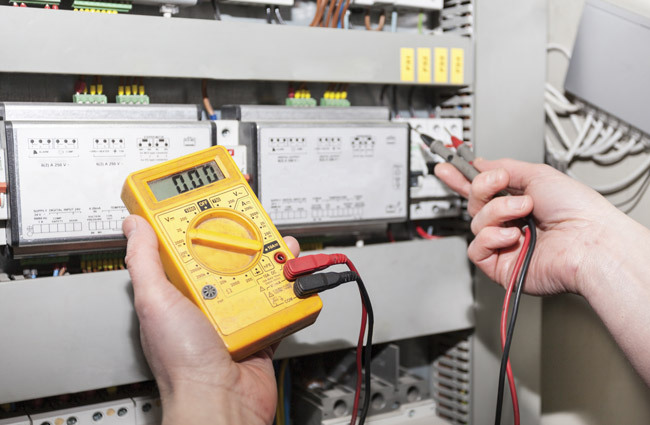 IAS accredited FEBs are qualified to evaluate unlisted electrical equipment in the field. The IAS FEB Accreditation assists the Authority Having Jurisdiction (AHJ) to evaluate and approve unlisted electrical equipment in the field. Demonstrates compliance to National Fire Protection Association (NFPA) 790, Standard for Competency of Third Party Evaluation Bodies (FEB) and NFPA 791, Recommended Practice and Procedures for Unlabeled Equipment Evaluation. Provides confidence that electrical products are being inspected by qualified professionals based on the applicable requirements in codes and standards. Provides the AHJ with evidence needed to approve Field Evaluation Bodies. Effective utilization of the AHJ’s resources. Uniformly assesses all Field Evaluation Bodies. Get the latest information about accreditation practices, standards, training courses and more, when you join the IAS list for Field Evaluation Bodies. To join, click here.